The Amlin Autumn Optimist Series concluded on the Great Sound this weekend. 40 Bermuda Optimist sailors and 4 overseas sailors took part in the Series this year, the most successful Club Series in the history of Bermuda Optimist sailing. The racing on Sunday was watched by visiting dignitary Jose “Quino” Nigaglioni from the International Optimist Dinghy Association. 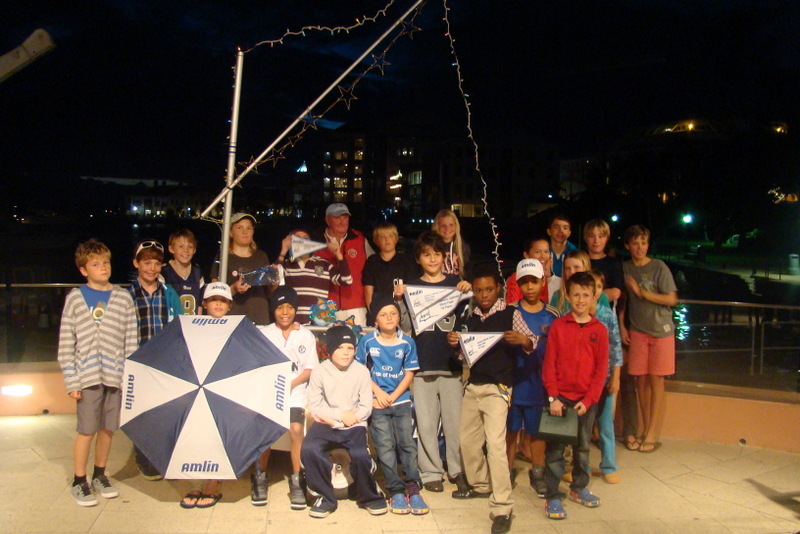 Quino said it is great to see such a thriving fleet of young Optimist sailors in Bermuda. It will be very exciting for Bermuda to host the North American Optimist Championships in July 2013 with such a strong fleet emerging again. Racing concluded this past Sunday in light breezes from the Southwest. Campbell Patton (8pts) won the Gold Fleet to take the Series 2 title with Chase Cooper and Matilda Nicholls level on 16 points. The Silver Fleet was won by Felix Cutler on 3pts with Adam Larson 2nd on 7pts and Rian Geraghty-McDonnell 3rd. This result secured Series 2 of the Silver Fleet for Cutler. During the Prize Giving after sailing, Royal Bermuda Yacht Club’s (RBYC) Rear Commodore of Sailing, Leatrice Roman, said “it was great to see so many happy kids enjoying sailing today, congratulations to Principle Race Officer (PRO) Jay Hooper and all his volunteers for running 61 Optimist races this Autumn, we are proud to be doing so much to encourage these young sailors to enjoy this wonderful sport”. She presented PRO Hooper with a special award as a thank you from all the competitors this Autumn. Hooper then adjudicated over the Sportsmanship Award for the Autumn Series, “I am thrilled to advise that one person was head and shoulders the winner of this award; Thomas Penruddocke has been the most helpful, polite and well mannered sailor all through the Series. His help preparing the Race Committee boat before racing and then compiling the results after each race day is to be commended”. RBYC’s Director of Sailing, Tom Herbert Evans, then awarded the Most Improved Awards for the Series. He acknowledged Joe Arrowsmith and Tayte Stefaniuk in the Gold Fleet and Rian Geragthy-McDonnell and Adam Larson in the Silver Fleet. Following the Awards Ceremony, Amlin representative Charles Penruddocke commented, ”Amlin are proud to be able to help so many kids enjoy their Autumn Series racing in their Optimists, it has been a very successful occasion, congratulations to all those who took part.” He then invited all the participants to step forward to receive their own participation awards from the Series Sponsor. 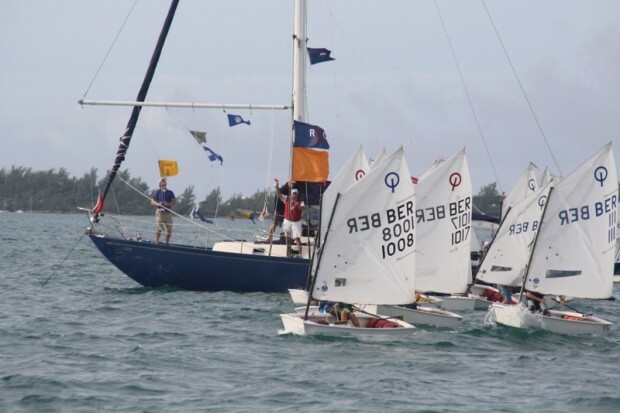 The Island’s Optimist sailors now prepare themselves for the annual pilgrimage to Miami after Christmas for the Orange Bowl Regatta. The RBYC Sailing Academy is running a week long clinic with special guest coaches Bermuda’s Olympian Jessie Kirkland coaching the young Laser sailors and former Optimist Champion Josh Greenslade helping the Optimist Squad and Development Squad sailors.